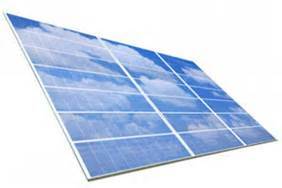 Solarize Seattle: Northwest – 141 solar installations = 640 kilowatts!! Solarize Seattle: Northwest enabled 141 homeowners to install solar, for a grand total of 640 kilowatts! More than 650 Northwest Seattle residents attended Solarize Seattle NW workshops and hundreds of those received site assessments from solar contractors Puget Sound Solar and Artisan Electric. With the help of community partners and volunteers, Solarize Seattle NW fully DOUBLED the installed solar capacity of the Solarize campaign. What’s more, during the Solarize Seattle: Northwest campaign, NW SEED powered past another big milestone – over ONE MEGAWATT of new solar power installed since the program launched in 2011. (The total is now more than 1.25 megawatts – see the impact at solarizewa.org). Very exciting stuff! Thank you to NW Seed and Seattle City Light for bringing such a great program to our neighborhood, to Bill Thorness and the organizing group for catalyzing us and our partner organizations into action, and to all of you that have been so instrumental in getting the word out about Solarize!